We just like saying: ‘Zihuatanejo,’ don’t you? Makes us feel authentic. So here’s a little yoga gem we uncovered from the boys and girls at Kor Hotel Group. In October, The Tides Zihuatanejo hosts its first Yoga Retreat where guests can get their very own custom-created wellness weekend. Fostering spiritual re-awakening and social companionship, celebrity instructor Tom Morley (of Exercise TV) will lead inspired asanas and sun salutations in one of the Mexico’s most seductive resorts. 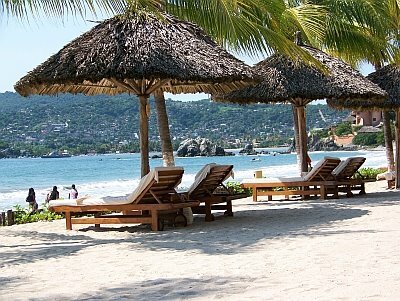 The first in a series of 5-Day Yoga Retreats at The Tides Zihuatanejo, takes place: October 3 – 7, 2008. “Yoga brings people together and I’m thrilled to be a part of Kor’s first yoga retreat at The Tides,” says Tom Morley, the highly-respected instructor whose sessions draw the likes of Reese Witherspoon and Helen Hunt. 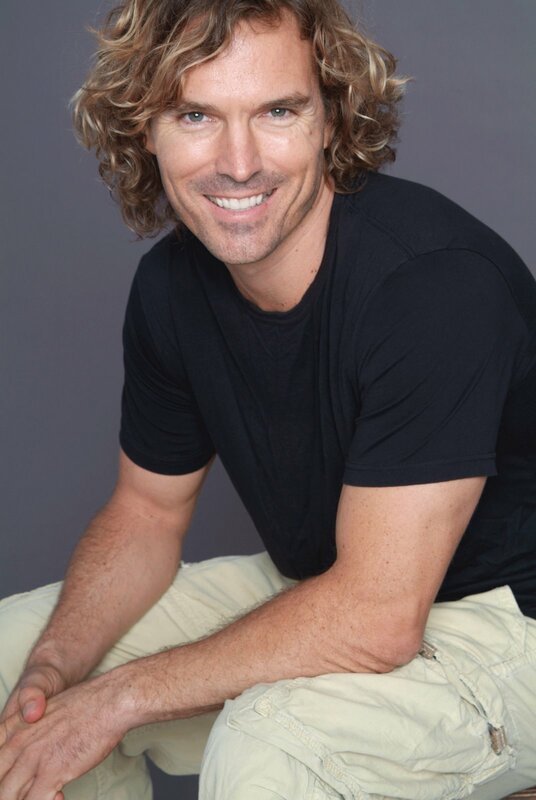 For over 10 years, Morley has redefined the traditional approach to yoga by adapting the practice to individual preferences, drawing from styles like vinyasa and yin, breathing, meditation, partner yoga and dance to bring a vibrant sense of joy, humor and ease to his sessions. Hugging the white sands of Zihuatanejo Bay’s Playa la Ropa, The Tides Zihuatanejo is filled with tropical gardens, waterfalls and an expansive beachfront, the perfect serene locale for deepening personal practice and self-searching. Two-story, terracotta-tiled casitas and thatched palapa cabanas merge with the gardens and waterfalls that enfold them. Pst… suites include their own outdoor infinity pools. Two gourmet dining venues and three bars make The Tides’ elegance complete. In addition to an immersion in yoga, you can also opt for culinary classes with Executive Chef Paco Isordia, sailing, surfing, Scuba diving, ATV tours, jungle canopy rides, or cultural tours. Beach Suite – $3,500 single occupancy/$4,4000- double occupancy. Rates exclude tax and service; package subject to availability. So go get your OM on. And grab a margarita for me while you’re at it. This entry was posted in couples retreats, exotic travel, health and wellness retreats, luxury travel, mexico hotels, mexico travel, yoga retreats and tagged couples retreats, exotic travel. Bookmark the permalink.